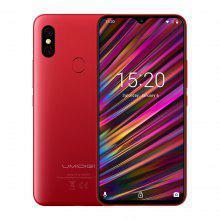 UMIDIGI F1 video review. 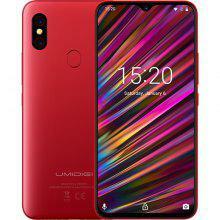 F1 Pro packs Android 9, 6.3-inch IPS Waterdrop Notch display, NFC chip, a big 5150mAh battery with fast charging out of the box, 128GB Storage, and comes in a gorgeous Flaming Red colour and offers Global Dual 4G connectivity, 12nm Helio P60 and for just $200! I think one of the best deals you can find around the $200 price point. 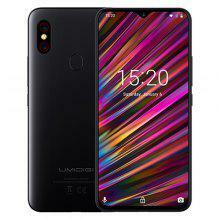 I have this phone, and my first time buying a Umidigi phone, at first. the wait wasn’t worth it. Umidigi builds great phones only for hardware. came with lots of software issues. that can be easily fix with SP flashtool goto umidigi support forums for more information. when you want “F1 Play” instead of regular F1, I’ll tell you this, the F1 has the same Dimensions and sightly different Specs as the upcoming F1 Play, The F1 Play just has more Ram and A better Camera, Less Storage. and thats it.